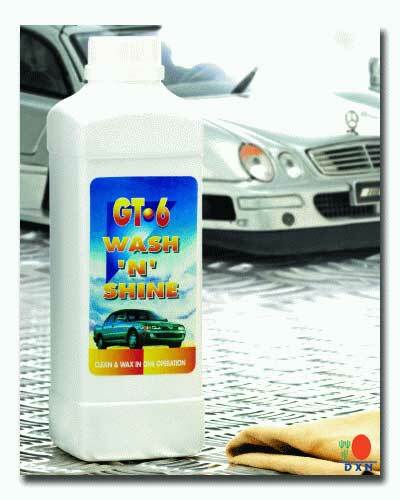 DXN Car Wash-GT 6 Wash 'N' Shine, a unique car care formulation designed to wash and wax cars in one operation. It effectively removes stubborn dirt and stains, leaving your car shining and sparkling. 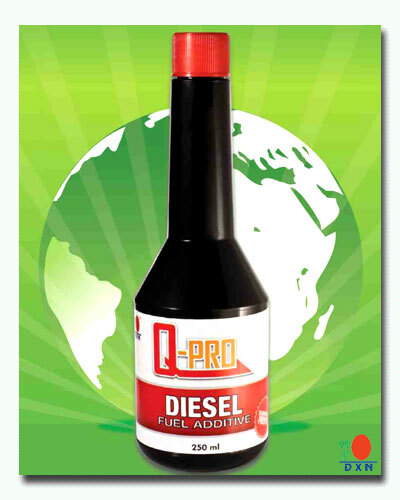 DXN Q-Pro Diesel Fuel Additive is a non-extractable (no sediment) and ash-less conditioner that serves as a multi-functional lubricant which is non-corrosive and does not contain any solids. A unique formulation of DXN Q-Pro Diesel Fuel Additives offers an easy-to use technological solution to clean the injector and combustion deposits. It enhances the lubricity and cetane performances in order to protect fuel injectors and overall fuel system, while reducing sulphur emissions and black smoke from diesel engines. Suitable for all diesel fuel car, truck, marine engine and stationary diesel engines like generators.